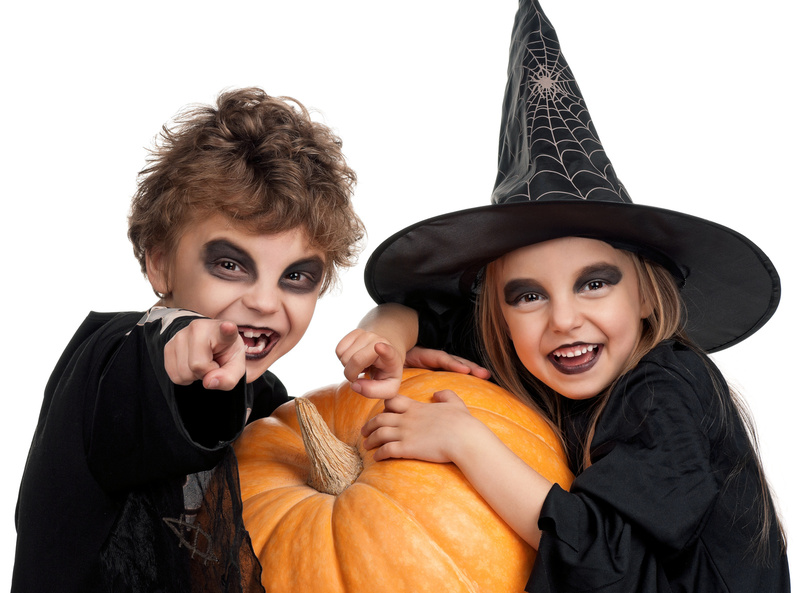 Will your kids be celebrating Halloween on Friday? Like everything else American, I guess it was inevitable that the combination of costumes and lollies (or should I say “candy”) would eventually make it over here. You can’t go past a zombie: A great way to repurpose an old t-shirt and pants. Friendly ghost: All you need is an old sheet. Everybody loves a mummy: I mean the Egyptian variety that awakes from its tomb wrapped in toilet paper. Old person: Little kids dressed up as old folks is always funny. Borrow one of Grandma’s frocks and apply powder for grey hair (no offence to Grandma). Laundry basket: It may be a bit left-field, but I can see the horror in it. Cut a hole in the basket so it can be worn around the waist, then throw in some dirty socks and other washing. Ninjas: Everybody has black in their wardrobe, right? Start with a black shirt and tracksuit pants, then make a black ninja eye mask out of old black socks. Fortune-telling gypsy: You’ll need a scarf, long skirt and some/all of your mum’s costume jewellery. Circus clown: All clowns are spooky (especially Ronald McDonald.) Take a plain tracksuit then tack on large colourful fabric dots. Clown wig and nose combos start at $4.59 on eBay. Reuse an existing costume: Did your child dress up for Book Week? Do they already have costumes for dance or a dress-up box full of options? Problem solved right there.